Great. And can everyone hear me OK? Good Morning Ladies and gentlemen. It is absolutely my pleasure to be here this morning. Feeling very fortunate to get to fly into London on a lovely sunny day and come to this very cool venue. I have to say Kudos to Clwyd for picking such an amazing venue for this morning's event. As you can see on the speaker circuit over at HubSpot, there's a bit of competition to get to come to London to do this HubSpot User Group - HUG. So I'm fortunate that I helped Clwyd and he's done me a solid back by letting me speak to all you guys today. I'm gonna run through some tips that any business can employ to operate a successful inbound strategy today. So we're going to just walk through some Inbound fundamentals. I'm happy for this to be a very discursive session. 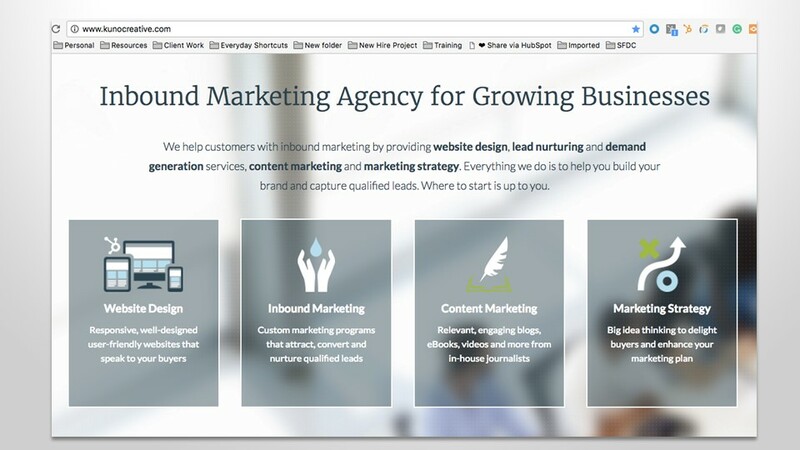 I am a partner services manager at HubSpot and essentially what that means is I work with a team of channel consultants that essentially assist our agency partners to resell HubSpot successfully and to make inbound marketing work for their business. So my team work with marketing agencies like Whitehat, who come in wanting to make it work for their business. We teach them how to get it cranking and then when they're ready to resell and service other customers, we support them in an ongoing journey. What can I tell you about me? 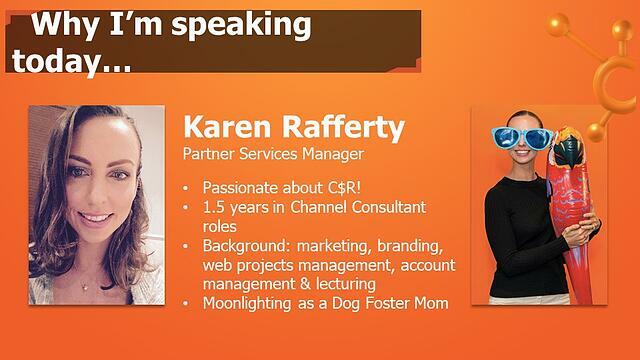 I've been working at HubSpot for about a year and a half. I'm very passionate about retention. Naturally in my job we're measured on retention metrics and the way that we focus on retention at HubSpot is to be absolutely obsessed with delivering customer success. "If we deliver customer success, the renewal piece tends to take care of itself." Essentially what we typically find is that businesses come to us, whether they're an agency or a regular business and they tend to have a similar set of problems. So some of them you'll see up on the board this morning and if I can have a show of hands, if any of these start to resonate with you guys and sound familiar, please just raise your hand. 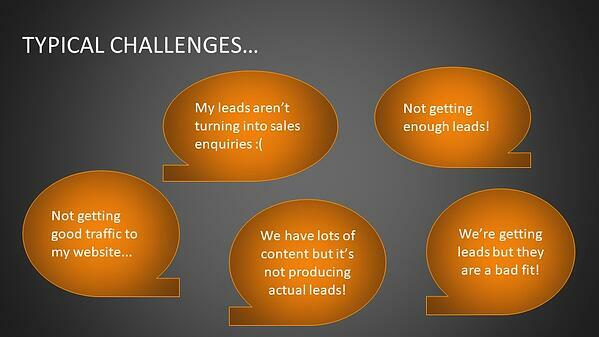 So one of the most common issues, not getting enough leads. Any hands? Fair enough. Not getting good traffic to the website. Any hands? Keep your hands up by this. 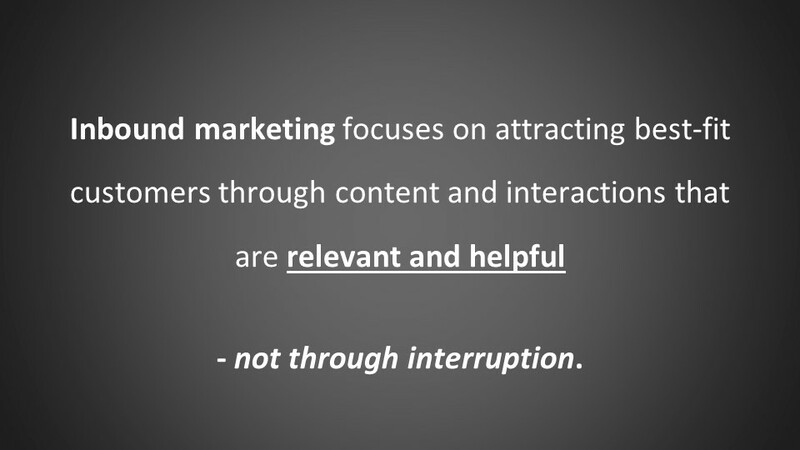 "Once we've lots of content when we're not producing actual leads." So we're writing and writing and writing, but nothing is really coming through any hands. Does that sound familiar? 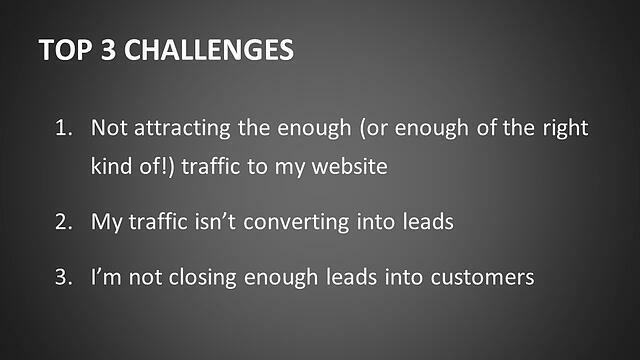 My leads aren't turning into sales enquiries, so these are the types of challenges that our customers have regardless of whether it's an agency that we're working with or it's an agency's customer that we're helping them to serve as I am. It seems to me like these are pretty common challenges and some of the tips that I'm going to run through today essentially are addressing these challenges. As you can see anybody that's facing any of these challenges, you're in pretty good company. Every year. HubSpot produces a state of inbound report by our research team and time and time again, these are the top issues that tend to come through in the research regardless of whether you're a HubSpot customer or not. So the solution that we propose is to start to employ, invent a strategy to both your sales and marketing activities in your business. It's important just to reiterate here, for anyone that's not familiar with the concept of inbound marketing, that with inbound, what we're essentially doing is trying to focus on attracting good fit leads or opportunities to your business. And we do that through producing meaningful content that can enable you to have meaningful interactions with potential customers. So I suppose if you were to think about it in its crude, it's crude crudest form. It's about just having good social etiquette. I'm, it's not about interrupting people, it's about actually being helpful, being responsive. Being very human in the way that you employ your marketing and your sales strategy. "The inbound methodology essentially starts with the concept of attracting these leads or prospects to your business." And that can be through any point in your digital footprint. 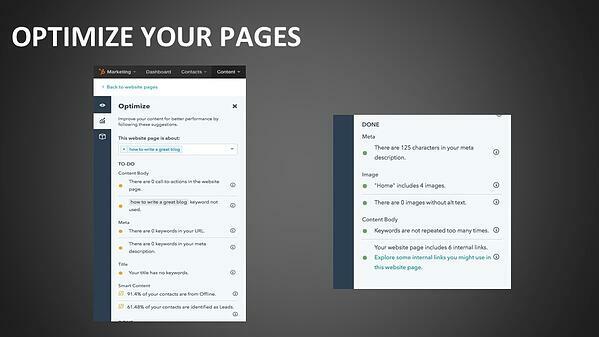 And so it doesn't just have to be through your website, it can be through your social profiles. It can be through really any channel, whether it's an online forum that you participate in, anything that gives your business, your brand and the people within it visibility. Once we've attracted these people to the website, we look to convert them, so we need to make sure that the visits actually convert into leads and at that stage we try to nurture them and close them into customers and once their customers again, we focused on retention. You might hear that word for me a lot things. I'm pretty obsessed with it and we focused on retention by delighting customers in an ongoing basis throughout their lifecycle. So today I'm gonna talk to you about the top three challenges that I hear from customers and some of the tactics that you can employ to work through these challenges. 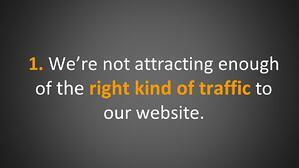 The first is that we're not attracting enough traffic to the website or we're not attracting the right type of traffic to our website. This focuses on the attract stage of the methodology, so essentially there's a problem with what you're doing to attract leads and the right kinds of those leads. 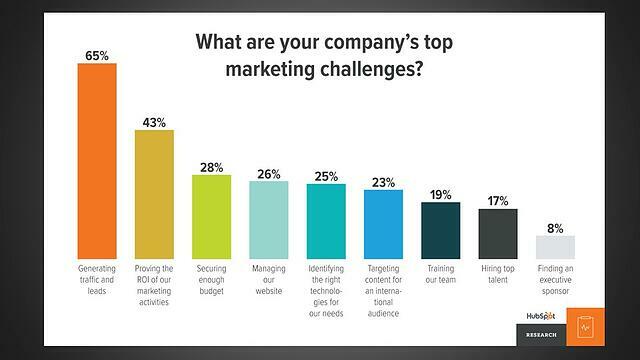 As a channel consultant, if you have this type of challenge, typically the first thing that we'll investigate is "how well are you positioning your business in the online space? ", and that's something that I'd ask every one of you today to have a think about. Do we have any business owners, marketing managers in the room today? Can I ask, when was the last time you did an audit of your digital footprint? 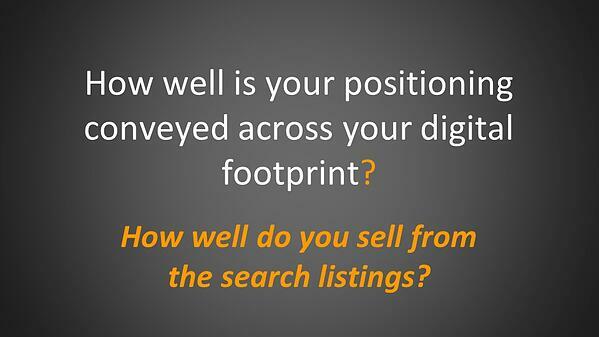 And what I mean by that is when is the last time you did a search for your business online and audited that are scored yourself in terms of for the top 10 organic search listings that appear, how would you rate your business's profile online? Can I have a show of hands? Who's, who has done that in the last year? OK. We have a few people doing it, probably not enough. This is something really that everybody needs to audit on a very regular, ongoing basis because often that is the first touch-point that a potential customer has with your business and you would be a how neglected that audit is. So, I come from a branding background originally and I focus on branding from both the traditional perspective, but I also focus on branding from a digital perspective. Remember a brand is your promise and sometimes you can have the most beautiful graphic design work on the most beautifully presented website, but you've completely neglected your brand positioning online and as a result, you're doing an injustice to your own business. I would actually grade the website as to how well do I as someone who's now blind to your business, interpret what you do and understand what are your usps? Do I immediately get that from the search listings and if I don't then I'm sorry, but you're going to get a bad grading for me. The second thing that I'm gonna do is to try to understand again, from that search listing position, who are you trying to attract and is that me? Can I imagine myself as your target prospect? So these are the types of things that we initially explore and you'd be amazed at how often those things haven't been really well thought through. 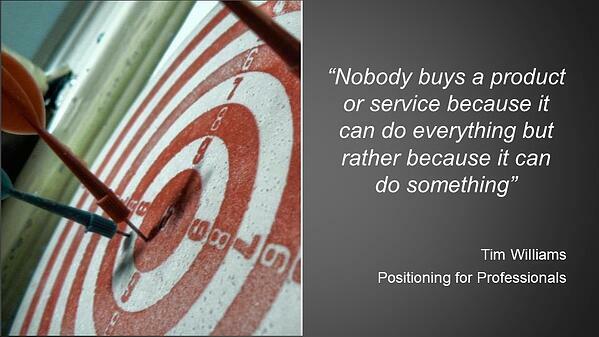 "Positioning is important because you just can't be all things to all people." And you can imagine if you have a business with 50 prospects, like different types of prospects that you're trying to target, imagine the amount of content you'd have to produce to target those prospects in a meaningful and customized way. It's an enormous labor, so you have to get very focused initially when you're trying to make inbound digital work for your business. "We know that seventy two percent of businesses are far more likely to buy from experts than you're kind of generalist." So for example, if somebody had a terrible heart murmur, imagine yourself at a terrible heart murmur and you have an option of being treated by your GP who has maybe you know, consulted someone once in the past twenty five years with this condition or even opportunity to go to a specialist who deals with people who have these types of problems on, on a daily basis. Who would you feel more confident in being treated by the GP or the specialist? That's a no brainer. It's the specialist. Who would you expect to pay more for specialist? Do we have any qualms with that? Do we haggle with the specialist? No, we accept it, he's a specialist, so we're going to have to expect to pay more for it. You can take that same perspective with your business. If you are really pushing your unique selling point effectively online, you'll have more room to grow your profit margin and less quip from prospects over price, which is ultimately where everybody wants to be. This is one thing that I would ask you guys to do today. 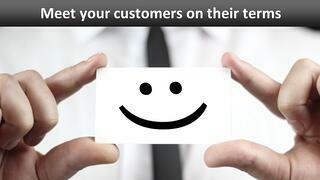 Go Away and do a reflection on how well you really feel you position your business online. Do you know what is unique about your business? Do you actually understand why somebody should choose you over similar competing alternatives? And if you do really understand that, are you effectively promoting that online in a tiny search listing position where you have a very, very small window of opportunity to get your message across? Here's an example of a business that I believe does it quite well. These agencies are a HubSpot agency partner, they've been around the block there are partner by ten or twelve years now, so they've been up and down and they didn't get it right first time, believe me, but they do a pretty good job of positioning themselves online. There's no ambiguity about what they do or who they are. They're an inbound marketing agency. We know that. They unpack the concept of inbound because not everybody understands what it means, so they use this meta copy space here to explain. We're talking about content marketing, demand generation, lead nurturing. They promote their USP, highlighting a HubSpot partner and what their tier status is, and then there they have these guys on highlight here. These are the key service areas of delivery. "If you take a look at a business that positions themselves well online, you'll see that they have a consistency in that messaging across every digital profile." That's something that is a business and it's your responsibility to look after. The reason that this is so critical in the online spaces because we know that somewhere between eighty to ninety percent of search engine users don't bother going past page one of Google search results. I personally can't remember the last time I clicked into page two of Google search results. Instead of clicking through and looking for more options and alternatives, users tend to actually change their search behavior, so they'll sharpen their search and they'll extend their search typically through a long tail keyword search rather than clicking into page two of Google search results. So the hard truth is if you're not on page one for the keywords that you feel as a business are fundamental to rank for, then unfortunately there's just no point in even putting effort into that activity. So how do you understand what keywords you should search for and how do you even go about determining what you should start to research from a keyword perspective? The best place to start really is to fall back in the personas, the people that you're trying to attract to your business. 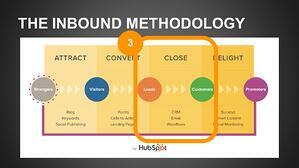 And the way that I like to frame it is again, remember inbound is about being helpful and being human. Think about those prospects and the things that keeps them awake at night, so in their business, the stuff that's stressing them out, can you as a business solve their problems? And if you can, you need to start there. Imagine at the outset when they're having a problem, what are the types of things that they're searching for online when they're looking for help? This is definitely a useful starting point where most businesses go wrong is they start optimizing their website around the products or the services that they sell. They're the most competitive keywords that you can try to compete for and it's going to be an enormously difficult and ongoing enduring battle to retain good search, search listing position for those keywords. If we actually take the reverse approach and start with the press, the prospect, their pain points or their challenges, their aspirations, what they're trying to achieve, and start all of our strategy from that perspective, we can start to build a keyword strategy from the top of the funnel to the bottom of the funnel. And that enables us to compete more effectively, to drive more traffic, higher volumes of traffic, and to have a healthier top, middle and bottom funnel of leads for nurturing. Once you've developed your keyword strategy and you can use, there's lots of different keyword tools on the market. Is there anybody in the room not using a keyword tool to help them analyze what keywords they should be competing for? 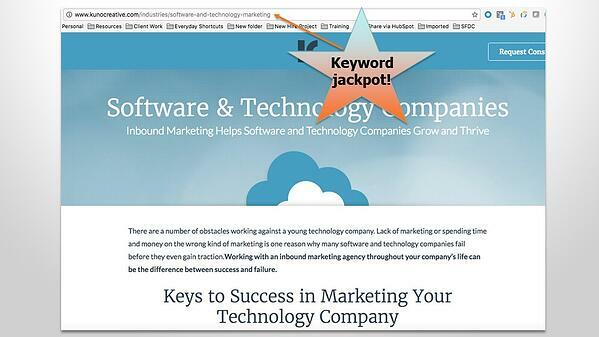 There's lots of keyword tools that you can use. Some good tools include tools like "Keyword.io", which will help you kind of stimulate keyword ideas. 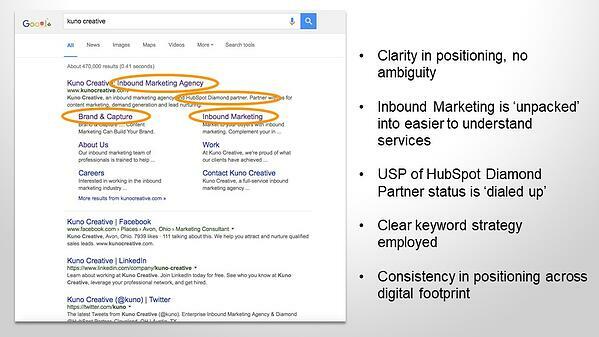 HubSpot offers a keyword tool that will essentially help you determine which of the keywords you're interested in are either difficult to compete for or more likely for you to be able to compete for on how many of those terms have a high versus low search volume. 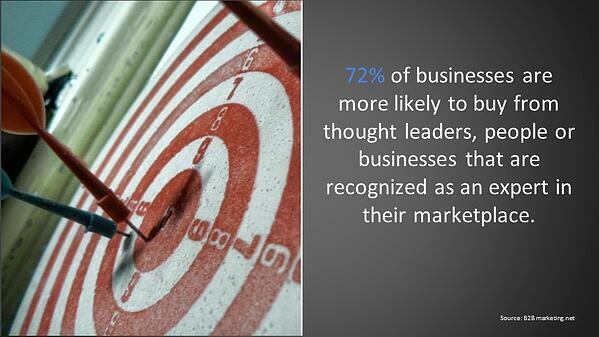 Obviously the bull's eye targets of a keyword strategy or terms that aren't too difficult to compete for. Another really nice volume of monthly search traffic. Once we've determined what your target keywords are, we can start to optimize the pages on your website. And this can be a really quick win for any business because if you optimize the pages on your website with keywords that you know you can compete for, you can automatically see a real lift in the volume of traffic that you're driving to your website. Because we've oriented all of these keywords around the persona, we know that we have a greater chance of driving the right type of leads to the website as well. 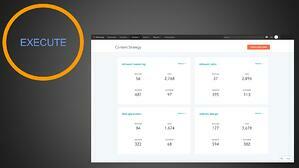 Another tool that you can use if you're a HubSpot customer is our "Content strategy" tool. Anybody familiar with this too? This is a very new tool that HubSpot has built and in my opinion it's probably one of the most ground breaking tools that we've built over the years, the reason being that anyone that has done that exhaustive keyword research and spend hours trying to refine the keyword strategy going through reams and of data to identify those targets. It's a pretty labor intensive job. It takes a bit of time. Does anybody in the room focused on that? Yeah, so it's not. It's not the most fun task I would say. 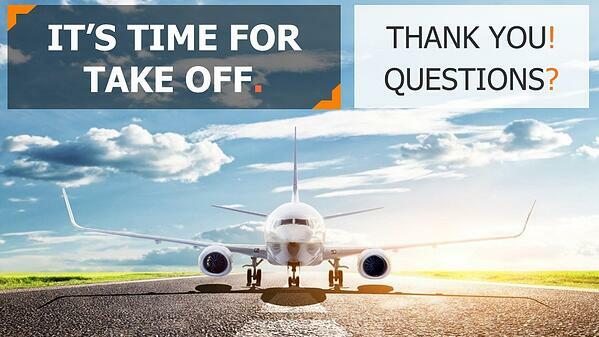 Setting out your inbound strategy. This tool takes away an enormous amount to that pain. 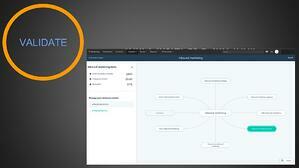 So essentially what this tool enables you to do is you can decide on a topic area that's of interest. It might be a service or product that you sell and this tool will help you identify what iterations of keywords you can use that are in and around that topic. It will help you identify the keywords that you can realistically compete for and keywords that are worth targeting because we know there's a certain volume of search traffic associated with them. Very quickly you can build out the framework of an entire campaign and you can use those keywords then to optimize all of your blog content or your video content and that will enable you to then drive that traffic to your website. The real beauty of this tool is that essentially you start to develop an authority around a subject matter and that's very important for anybody that's looking to improve their organic search listing positions or their website's domain authority around a particular topic area. "That's how search engines work today. They want to see that a certain businesses owning a topic". And the more we can see interaction from people coming through and to their website and engaging with that content, search engines will start to believe that actually you are a master of that topic area and they'll add weight to your ranking score as a result, so definitely worth checking out. 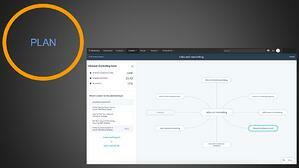 Brand new tool if you're a HubSpot user and take a look at it or if you're not a HubSpot user, feel free to do a demo. There are probably other similar tools in the market that you can use. 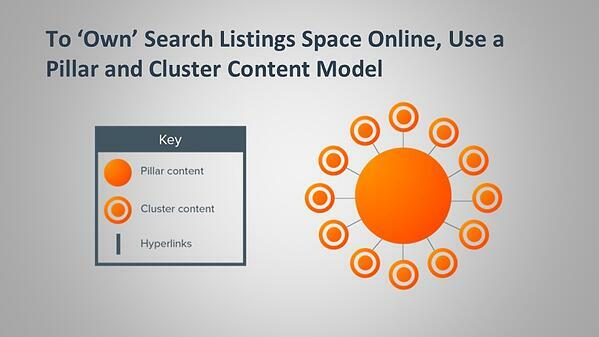 All of this entire tool has been designed around the idea of pillar content and cluster content. Essentially the best way to think about that is cluster content is typically things like blog content or video content, anything that you're using on your website to attract traffic to your site, so content that you can optimize or in good quality keyword targets and equally content that we know is going to be of interest. I'm going to be engaging once we have them on the website, we need to convert them so we use pillar content or what I prefer to call a conversion content, which is a higher value piece of content that we can gate with a form and that's what enables us to actually capture leads on the website. When HubSpot started orientating this methodology of building campaigns around topics to become an authority in a subject matter, we actually increased our own traffic to the website by fifty percent. So no small improvement for an already high performing website. I'm just going to revert back to the concept of positioning in the online space. Again, sometimes are people kind of failed to recognize is that when you're positioning online, we need to make sure that you're giving people an opportunity to understand what you are as a business and that you're touching all of the metrics or all of the checklists that are important to cross off in order to optimize your site successfully. So we can see well up to my site that's positioned very well, that they're using very defined keywords. In the URL structures on their web site and the titles of pages and all throughout the content. They don't tend to tell you as a customer, as a persona that depending on what's of interest to you, you can take a certain journey through our website and at this point then they can start to personalize that journey. So it might be because that customer is from a specific sector or perhaps it's because you have a specific product or service area that you're interested in. I suppose the key message here on, I honestly feel like anytime I give a presentation or anytime I speak at any kind of meeting, I'm banging on about personas. 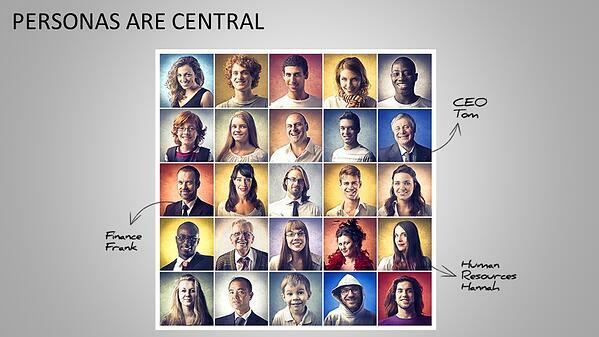 "Personas are the most neglected piece of a successful marketing strategy today. 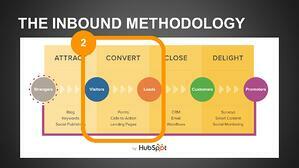 Not just an inbound strategy, but any marketing strategy." It has to start and stop with the people that you're trying to attract and the customers that you're trying to retain. If at any stage you don't have your personas on the wall and you're literally looking at them and having a conversation with them because you're talking to three year strategy, there's a good chance that you're going to go wrong in your strategy. So to own search listing space online, it's becoming increasingly important to start to develop campaigns around subject matters to make sure that you have an ecosystem of content that's going to reassure search engines that you are actually a master in this topic area on that there's a lot of activity ongoing around this subject matter, so why would one of those campaigns look like? Well in this example we can see that we have a business that's looking to become an authority in the area of workout routines, so maybe they own a stream of Gyms or maybe it's a team of personal trainers. Something to that effect. If they try to compete for workout routines and the online space on their new business, what do you think their chances are ranking for a term like that? Straight out of the gate. Not a good idea, but they can develop a series of longer tail keywords and using a tool, any kind of keyword analysis tool, there'll be able to identify whether or not realistically they have any opportunity to compete for those terms. Once they find those target terms, they can start to build out all their content strategy around them and they'll see results relatively quickly. If this is done well, you'll start to see results really within one to two weeks. What am I trying to say? Ensure you're conveying your positioning consistently, not just on your website, but across all of your digital footprint and sure your content is developed with your persona at the forefront. Always, probably the most common mistake we see is that a business will have the seo guys and they live over here and some kind of secret far off land that they don't talk to anybody. Nobody talks to them. They just shoot across some information or tweaked some stuff on a website and it's really siloed activity. If they haven't actually performed the keyword research and strategy with a true understanding of the personas in mind then your content strategy is really at a disadvantage. Don't just focus on keywords and remember that you need to think about a core topic of course, subject matter that you ultimately want to own. 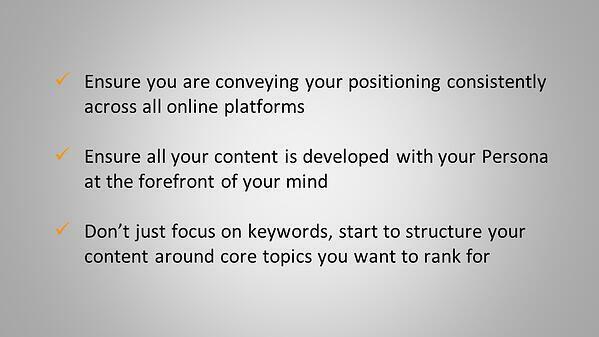 If you start to develop an ecosystem of content around a subject matter, it won't take you long to see your rankings for that difficult, highly competitive keyword to really start to, to rise up through the ranks. 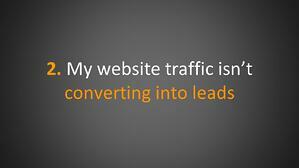 So the next common problem, my website isn't actually converting traffic into leads. We have loads and loads of traffic, no leads, so I'm familiar. We're in the convert stage of the methodology here where essentially we're trying to convert visitors into leads. Typically what we're trying to do is lead capture through forms on the website and we also need some calls to action in place and we typically use landing pages to highlight that high value piece of content. So that we can really do a thorough job of promotion of it. 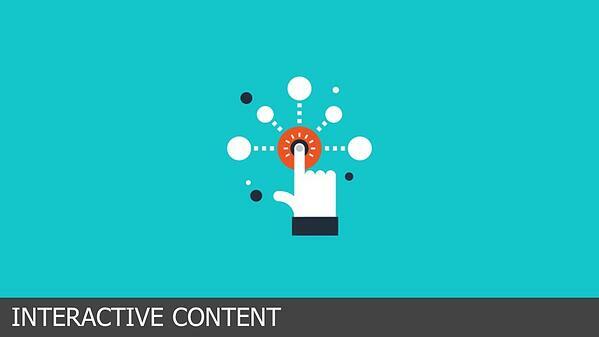 The trick with conversion is good content and not just any old content. Really good content. And I would encourage every business, every marketing manager, to spend less time on pumping content out, and more time on creating really good quality content. And it's not a volume play. It really is a quality play. 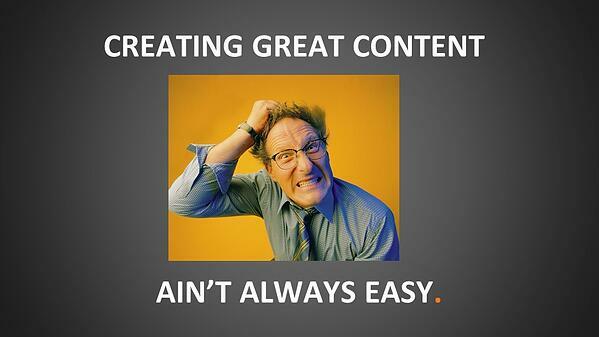 You've probably heard tons of presenters come to you and say "make better content, make better content". And the truth is actually creating content feels a little bit like this. You want to tear your hair out. Sometimes you write an absolute masterpiece, 20 page Ebook, or the white paper. Literally you feel like earned a degree by the end of it. And then you get four views, no conversion. And it is literally soul destroying. The truth is that people don't have time to read. When was the last time anyone in this room, if I can have show of hands, who here in the room read an Ebook that was 25, 20 pages plus thereabouts or white paper or anything to that effect in the last three months to a year? If you're in college and it was homework that doesn't count. OK? So we're a dwindling audience diary, I don't believe it. 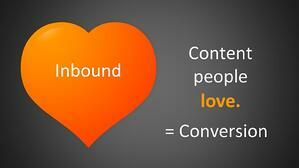 If it was the state of inbound than it was worth worth a read. Content is very hard to create. It's also very hard to consume. Remember that the nature of how people are consuming content now is very different to what it was in the past. How do I consume content now? Typically on my commute, on the train in the morning, that's when I have an opportunity to scroll through LinkedIn and read stuff. And if it's a 30 second video, am I going to view it? Yeah. If it's a 20 page Ebook, I'm going to read it, you know, I might bookmark the website page with the intention of coming back to it and giving myself that master's degree in whatever the subject matter is. But with the best intent in the world, I just don't have the time to do that. So we're going to talk about how you can actually create different forms of content, different formats of content so that it becomes irresistible to click OK. So I would channel challenge everybody in the room today to again, do an audit of your content. 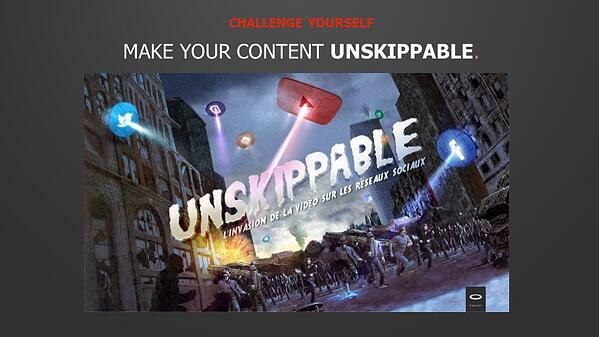 Is your content unskippable? What do you think? Yeah. OK. So your next step to give us a presentation on your content, definitely curious. You have to be really, really honest with yourself to see, you know, is this content literally irresistible to click? If it's not, if it's me to mediocre content, then you need to limit your expectations. It has to be in line with the quality of your output. So you need to think outside the box. How can you do that? Anybody familiar with the skyscraper technique? Yeah, well that's cheating, which also cheating. So Clwyd's going to talk a little bit more. I believe about this. I'm not gonna. I'm not going to go too deep into it because Clwyd is going to talk about this in a in a few moments time. 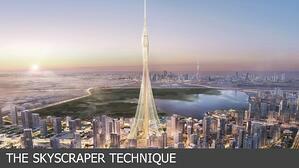 The skyscraper technique is actually a really clever technique. Essentially what you do is you use sites like buzzsumo, Google News, open site explorer to do a search for the best performing pieces of content around that subject matter. The topic area, but you want to own these sites will essentially produce reports back to you and tell you what currently is the top ranking piece of content on that subject matter and really this is a very fun game because you've run through all of these topic areas that you're interested in having ownership off in the online space and challenge yourself to see, can we beat that? Can we be what is currently the top performing piece of content in that space? Any good marketer but likes a bit of a fight, will absolutely find something that they believe they can beat because maybe that content was time-bound. Maybe it's about to go out of date or maybe you could do a better design. Maybe it was too long. Maybe you could produce it in shorter sound bites or maybe in a video format and or perhaps it was just missing critical pieces of information. "If you believe you can beat a piece of content, then you have a bulls eye target of what you need to produce." You can produce that content and then funnily enough. You can go and connect with all of the site administrators that are currently promoting that piece of content and invite them to link to your piece of content now, so it's a pretty straight forward strategy. It's underemployed and can produce really nice dividends in terms of high quality backlinks to your website that's going to have a monumental impact on your website search, listing position performance. Some other content ideas, interactive content. I'm a big fan of this. Again, it's probably because I have about a two minute attention span and so on that train, on that commute. If I get to do a survey and it makes my day, if I get to play four minute game that makes my day, there's loads of tools that you can use snap app or qzzer.com that will enable you to very quickly produce surveys or interactive games. I mean, who in this room wouldn't take the Taylor swift quiz? Honestly, we all know she has multiple personalities on. It's just human nature that you want to know. The other thing that people love, our free things, free stuff. We all love free stuff. 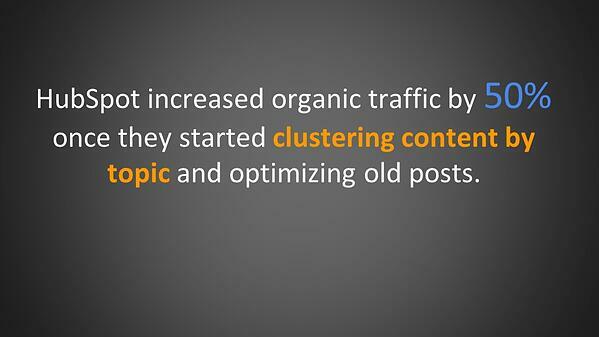 And one of HubSpot's best performing conversion pieces of content today isn't an e-book. 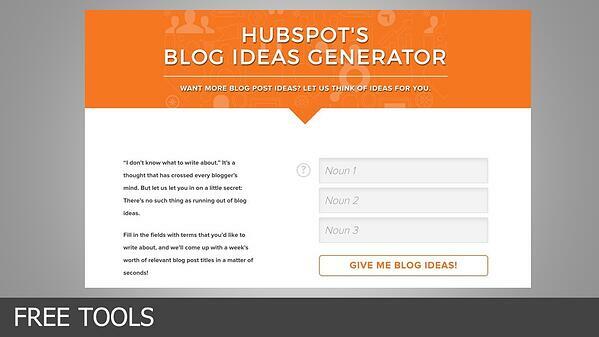 Lo and behold, it's actually our blog topic generator tool. Probably because we know our persona, you know, the marketing manager and a business who has to write 9,000,000 blog posts a year. It's a bit of a painful experience coming up with the actual topic ideas is rather painful. So we just created a that would kind of solve for that and help marketing managers come up with topic ideas. Now, if you actually use this to your, realize that most of those topic ideas that come back are futile, but it'll still stimulate your creativity and help you actually arrive at a good subject matter. Videos. I know that everybody talks about producing video content, and the truth is the video content just seems hard to produce. Is that right? Yeah. It's just hard. Wrong. It's not hard. It's not hard. That's just in your mind. I have a partner that I work with who produces video content almost every day. Here's his trick. He's an extrovert personality in fairness. He just comes up with this arresting statement. He'll throw it up on LinkedIn, he'll say ninety percent of marketers today have absolutely no idea what they're doing. I don't employ marketer, you need to work with someone like me. And Lo and behold in his extensive network, look at quite a lot of pushback to those statements. And before you know it, there's this argument and really interesting discussion happening on his LinkedIn thread. What he does is he lets that unfold for a little while and then he sets up his video camera and when he's ready to go, he presses record and he makes that statement again and he has a conversation off the back of those comments in that LinkedIn thread. So he'll make a statement to him. He'll say, John doesn't agree with me. Well John, here's what I have to say to your comment. And he literally have a discussion with these people who are participating kind of involuntarily, but it's still an interesting method. They actually love it, it takes him about thirty minutes. He does a quick edit, chucks it up, puts it on his website. It's an incredible tool to attract people and then just promote a high value piece of content off the back of it and it's, it's an incredible trick for converting leads. His problem is he has so many leads that he doesn't have the manpower to follow-up with them. Wouldn't that be a nice position to be in thirty minute videos? It takes him no effort. There is zero preparation involved and he just puts himself out there. Admittedly, not for everyone, don't do it myself, but a very good tactic. I think thinking that video is hard is a mindset. The reality is we consume video all the time. Snapchat, insta stories and video doesn't have to be perfect. It has to be human and it has to be engaging. 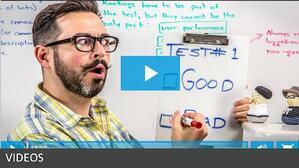 This is whiteboard Friday's. Anybody familiar with this? Yeah, we have a few. So again, I think credit to these guys. They just say we have lots of knowledge. We want to create some content. We're just going to whiteboard it and have a conversation about it. Not a very high quality production, but very, very interesting. A/B testing. 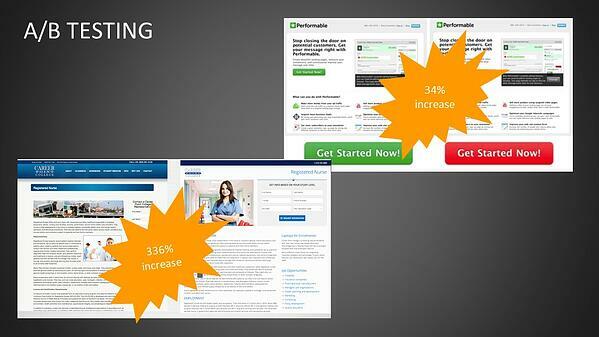 Crucial A/B testing of your emails is crucial. Who here likes spam, no spam fans, one that's shocking. Spam is the enemy. If you're not A/B testing your emails, please, please start to A/B test or emails and if you're not testing them, admittedly you do need to have a decent database to test your emails on, but again, it's a missed opportunity. Remember that you shouldn't produce emails because you as a marketing manager or a marketing ad man has a mandate to get these emails out. "You need to produce the content because your personas will actually care about it and actually get some value from it." And if you're not producing content in that monitor, then you deserve a really terrible open rate and you deserve a blacklisting, aren't joking, bit harsh and some other cool tips on the sales side is to equip your sales reps with sales enablement content and then track how that content performs. In HubSpot we have a tool called "documents" which essentially just provides us with the analytics behind how that sales enablement content works. So when our marketing team were off creating case studies and we have absolutely no idea if they're of any value, you can now actually have all sales reps attach. These to their templated emails that you as a marketing manager have crafted so you know the spellings are correct and hey presto, you can see that the case study that you spent hours writing beautifully designing and and your customer to give you the go ahead to to produce is actually performing. 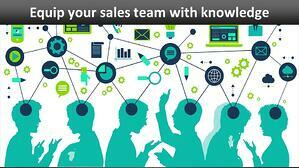 It's actually providing sales reps would insights that give an indication around intent to buy. So a tool like "documents" will give you an idea of whether or not these documents have been opened, how much time a prospect spent reading the document, if they reopened it, if they shared it, etc. Any sales reps in the room? Does that sound like some nice insight? Yeah. I don't know any sales rep. he wouldn't want to have those insights to hand. What else have I got for you? 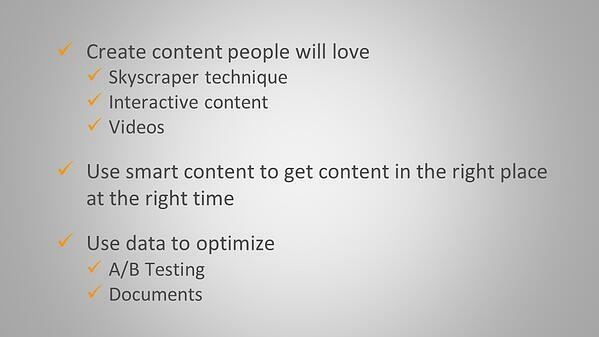 Create content, that people love employee tactics like the skyscraper technique. 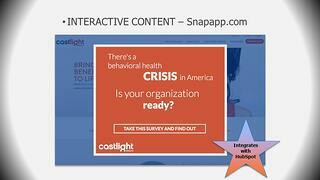 Go out and find a way to produce some interactive content, even if it's just quizzes or competitions or polls. Polls are great. Just pull your customers and then run a commentary piece on the results that come back. Very easy to do. It's a mindset more than an actual reality. In terms of the effort it takes to produce that content. Use data to continuously optimize your content so that you have the insights to understand what is working and if it's not working stop and change your tactic very quickly. Any questions on anything so far? Essentially that's the spam product that they're using. 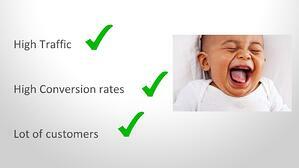 It's all about optimizing and trying to reengage a customer. It is tricky. I would say that in the first half of this year, a lot of customers had some pretty tricky problems with email deliverability and I'm not sure if we have time for me to go into this two minutes. So you might remember, you might know of black Friday in America, happens in November where businesses give discount codes. All you need to do to get your discount code is provide an email address. Lo and behold, that doesn't have to be an actual real email address. You can just give them any old email address and who wouldn't want free discount code without getting spammed by a company afterwards. Bingo. Unfortunately for email service providers, this was hugely problematic because all of a sudden December, January delivery rates from email sends were horrific because there were so many fake email addresses in the list that we were sending emails to. It produced no end of problems. And off the back of that, we very quickly saw that spot product providers and email clients started to raise the threshold of what emails they would let through to customers. So they've kind of sharpen their focus. This is something that's external from HubSpot. 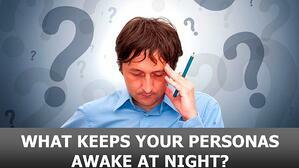 It's not something that we can control or any email service provider can control. I would, if I'm honest, you'd probably gonna like this response, go back to your persona on, have a look at your email subject lines and the content within that email and ask, are we doing a good enough job to actually truly engage this customer if the hook isn't really strong for that persona, if it's signs, it's promotional in nature, you're probably gonna have problems. Ok. Did you try to adjust the spam filter settings? Yeah. So unfortunately with spam traps, the way they work is that if you commit a first offense, they're going to suspect all of the rest of the content that comes through. So you're going to have to work with that spam on product or your email client and to try to kind of work through that problem. Females being denied blanket something that we call necessarily technical. Yeah, it's definitely a tricky problem I would say. Work very closely with your account manager on the email deliverability team. If it's a problem on the server, we can work with multiple providers to work on kind of white listing, delisting, etc. "Earlier when you were talking about search behavior and how users will start with broad search and then move to a more long tail search. I'm not always so in the case of, so I've got a client right now that they're very commoditized market. So what happens is they start broad search and they typically tend to just filter straight into aggregators. So like portals that are then providing that sort of secondary search. So we found that all of the long tail search where just have extremely low volume because people just aren't going that deep into it. So I was curious if you had any strategies around that sort of scenario because obviously trying to get high search rankings aren't going to be very difficult." Yeah, I mean it is tricky by nature. So just to explain long tail keywords for people, you might start with a short tail keyword search for red runners and overtime you start to realize that that's going to produce just all sorts of results in Google. So you extend your search and you say Red Knight, Ronnie runners for women for track racing. That's what we would call a long tail keyword phrase. And why nature as you get longer in the keyword phrase, the search volume decreases. We're becoming more and more concise about exactly what it is you want. And the truth is, as you get longer, tailor nature, the search volumes decline. 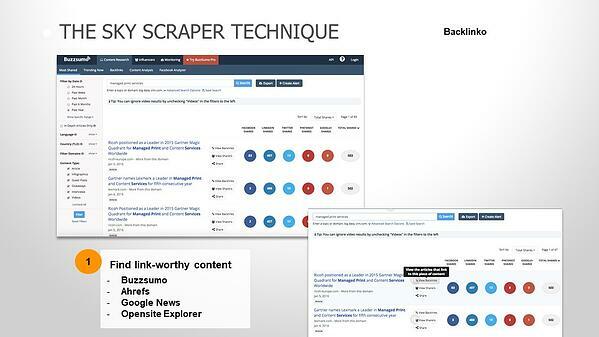 So I would kind of refocus the keyword strategy and bring it back to a shorter tail keyword phrase. It's, I wouldn't be able to. I can have a go at that one as well. I think the industry that you're specifically talking about is real estate and there are other industries which are similar and you've had a number of very large players come into that space and all and all of the others. Um, and, and they have very large marketing budgets. So you're competing with some very big gorillas in the space and in the end of the day there are only 10 places on the first place of Google and you can't guarantee getting those results. So there's good and bad around that you can just to keyword strategy, one is to go long tail and the other is to become more specialized and you could become in geography or in subject. So in the real estate space you can say, right, I want to be, I want to take over London Bridge, right? So you do all of your efforts around London Bridge and you would very likely to be able to outrank the major players in that space by just focusing on that, on that geography. You might have a specialist subject within that area. So you might be providing office space for tech companies, you know, within London Bridge. So suddenly you've got low search search volumes, but they're very, very targeted and those leads are much more likely to convert. So there's no easy answer. You're always going to be competing somewhere along the line against some big players, but you've got to fight, choose your battles, but what we've seen is the search volume drops off dramatically by people will search, you know, London property or maybe a eastern Shoreditch property or something like that and they won't go any further because usually what they do is we'll jump onto property portal and then they'll do all the drill down there and so you. We've found that, you know, because we're not competing against the other agents, but we're competing against the search portals. So that was kind of left me wondering should we just kind of leave the Google search ranking to the side and focus more on other means of traffic aggregation, maybe mix of offline and so forth, or are there strategies we can use on Google still? That might be. There's definitely strategies and we can probably required drill now, but to use a horrible marketing term, it's, it's an omni-channel approach right across everything that you can a/b split test. "Find out what's working for you in your particular niche in your particular business, and concentrate on that." It's coming back to this idea of search volume volumes falling off very rapidly being driven by portals which are essentially mocking up all, all of the searches. So you've got to choose your battles very carefully on that. Find out where you might have an advantage, but a lot of effort onto that. Then maybe look at other routes. Facebook are doing very interesting things on advertising at the moment. Maybe twitter, look at multiple channels, tests, tests, tests. Out of curiosity. Have you done your keyword, I suppose generation from the persona perspective. 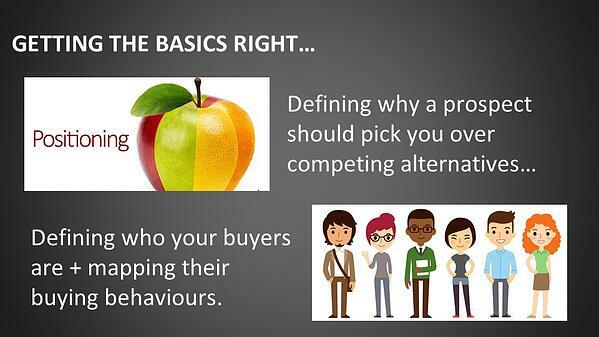 "So identify your persona targets, how they would describe themselves and then develop a keyword strategy." Yes, the answer is yes. We've looked at all the personas and whatnot. And you know, I've done a lot of sort of digging around search behavior to try and work out OK, each persona, what are they searching for? And you know, every single scenario I've found that they tend to search quite broadly and because, like you say, there's giants there that are mopping up the traffic, they're just immediately onto there and they're very good at sucking them in and keeping them there. And so that's, that's been a bit of a sticky point for us. And so we've, we've opted for more of an Omni channel approach and I'm more interested now I think in maybe combining some PPC to try and push ourselves and punch out in certain key areas where, you know, it's still SEO competitive, but we feel like we've got a strong value proposition. Karen: "Have you got a really strong USP?" A: Yes, we do. We do with we've got, as far as brand positioning is concerned, we're very strong, very unique, we have tremendous feedback from clients so there's a lot of positive around the brand and we've really worked on articulating that sort of difference. And so usually we have those conversations with the customers. They're very engaged. So, but it's, there's a lot of noise out there to punch through. So hopefully Clwyd can help. Put a strain on that. Just to close that off. You can beat the big players in this market place on if you use skyscraper, which I'm going to go through in a little more detail. I'll give you a couple of examples of exactly that and it's very, very competitive. Basically I can empathize. I used to work for a company that sold booking engine technology and as you can imagine, they're competing against the likes of booking.com or trip advisor. So you're up against some pretty hefty giants in that space. I'm focusing on domain authority is fundamentally important and having a real killer content, a hook that you can use to essentially shake MQLs out of an existing database or an existing channels is kind of key to do what was successful for us and that scenario. So moving on to closing leads. Typically a business at this stage is in a position where they have the traffic, they have conversion rates, but no customers. 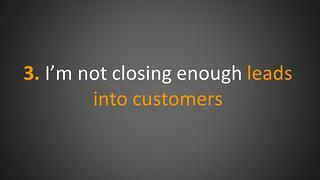 We don't have enough time for me to go through a really comprehensive strategy to close customers. But here's a couple of ideas that you can start to implement straight away. 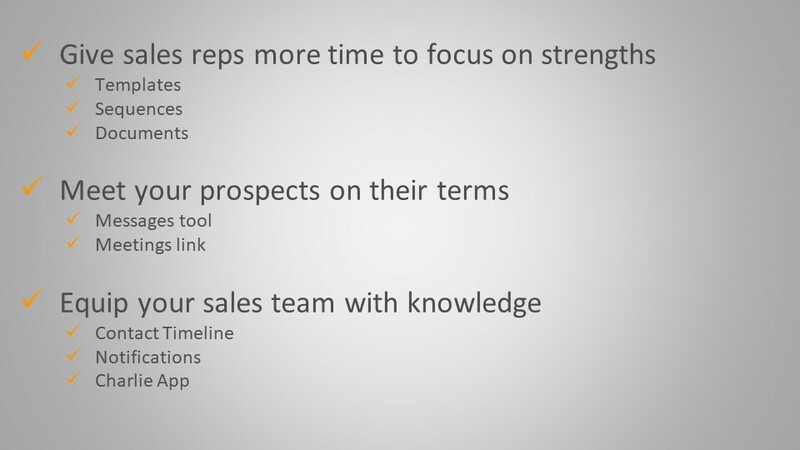 One of the, I suppose eureka moments that Hubspots marketing and sales teams had recently was the realization that we had sales reps spending too much time trying to nurture leads, which just isn't their strength. So the marketing team have worked harder to help reps free up more time to just focus on what they do best. What we're using is tools like email templates so the marketing team can actually build out the templates and then every sales rep can go in and just pick out the template an issue at all off. This will come already pre-packed with sales enablement content, fully spellchecked, consistent and brand messaging. A marketer's dream. 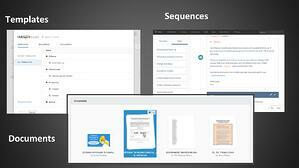 Sequences is essentially workflows, but for the sales side of the organization. So again, marketing can work with sales to set up a sequence of emails that are rep can send that. If, for example, somebody requests a callback so it might look like something, something along the lines of, thanks for your inquiry. And each day or time that suits of follow on email if they don't book, and then a a breakup email. I'm following on from that. So it takes the dependency on the rep actually remembering to follow-up with that prospect out of the equation. It makes it a much more reliable follow-up process. 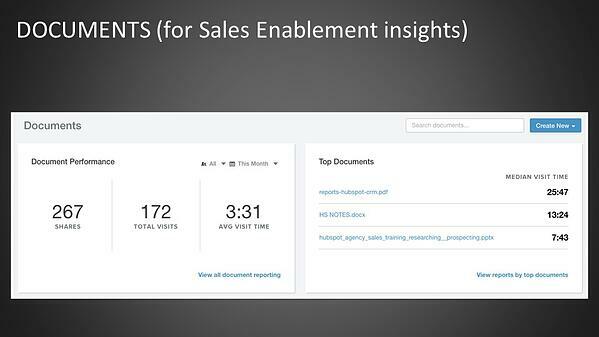 And "documents" again, which is what I referenced earlier, where you can essentially track the performance of your sales enablement content. Again, you'd be surprised how many businesses don't make it easy for a customer to choose who they want to speak to when they want to communicate with them. I had the horrific experience this week of trying to get some money from the bank. I can't tell you how difficult they made it for me to actually purchase one of their loan products and it was awful. I couldn't do it outside of the hours of ten to five. I'm, you know, I had to communicate via mail, which was shocking and it was just absolutely so enormously difficult for me to actually find the time to fit into their schedule, to buy their products. And it's quite incredible, some of the things that you can use are a messenger service on your website and or a calendar functionality where a prospect can just go in and access any of the open slots in your calendar and book time directly with you. If you actually give you sales reps really, really meaningful insights around when someone has opened. So a prompt to say your prospect is opened, your email, your prospect has read your collateral and here's a contact record giving you an indication of every interaction they've had with your website or any of your social channels. These are super powerful insights that the sales reps can take to know who they should prioritize from a lead followup perspective on what kind of conversation they should have to close that lead. The email notifications tool is something that I assume a lot of people are familiar with. Essentially, this just is a little spying device that tells us when someone has opened their email and great from a sales perspective, horrible from an account management perspective because you have to follow up really, really quickly. Charlie App, anybody in the room familiar with the Charlie APP? Yeah. 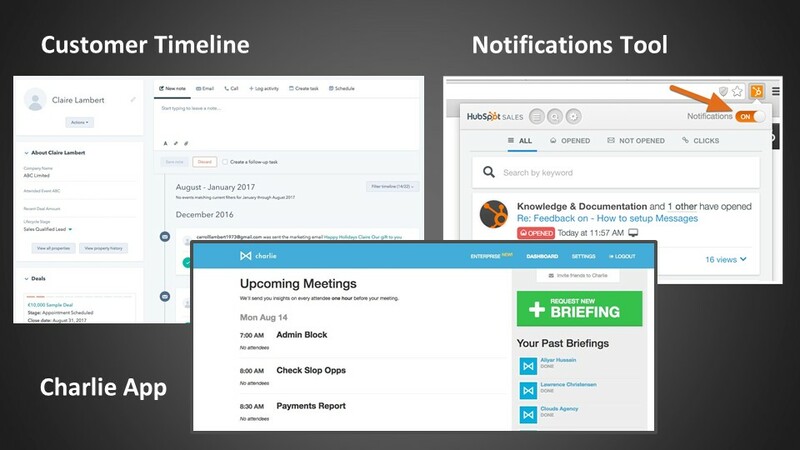 So the Charlie opposite actually attaches itself to your calendar and for every upcoming meeting that you have, it will do a scan across search engines to see what is the latest news for that contract. It does that by essentially taking the email domain on running a search across a search engines for any relevant content, but I believe believes would be useful for you to have an advanced with that meeting. So prior to your sales conversation, you can know who the latest person promoted in the company was, what awards they've won recently, et Cetera, et cetera. It will also give you a nice summary of the start of your day to remind you what meetings you have coming up. So again, on that commute into work in the morning. It's a nice little reminder to help you start getting organized. 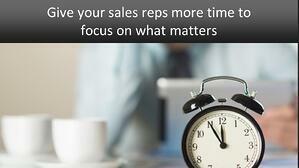 Give your reps one more time to focus on the, on their strengths use technology to remove a lot of the manual tasks and the human error from the sales processes, things like email templates, sales sequences, automation of any form, meet your prospects on their terms, making sure that you make it really easy for those prospects to meet with you, no harm in doing an audit of what that journey looks like at the moment, and then finally equip your sales team with all those useful insights. And then you should look a little bit like this baby here on site who is absolutely ecstatic because he really made their lives on awful lot easier. So without further ado, that's everything for me today. I hope you've got some useful, actionable things that you can take away and I'm happy to take any questions that you might have. I've got a question because one of the things that I'm always asked by marketers is content creation, right? You've talked about authority content, and that's something I'm going to talk a little bit about later on as well. An ideas generator is fine, but what is, what is the, the, the key thing that people can use to generate new content ideas? I mean, how do you actually make yourself stand out from all the noise because that's what it is at the moment. It's very easy to set up companies these days. It's very, very difficult to get herd rise above the tide. So again, I think the probably the marketeers that do it really well have a really tested understanding of their personas. It really all boils back down to personas and how much time they have to consume content, what their day to day looks like, what topics are of interest and where are you get really powerful content being produced is where everything starts to align and an inbound strategy. So you've done that really comprehensive keyword research. You've through that process, you've identified those keyword targets and anytime I've gone through that process with the customer from a marketing perspective, the ideas just start to fall out of your head. You have a really clear bullseye. And ultimately because you're orienting, orienting all of that, that keyword research around a content topic that you want to own, which typically relates back to the services or the products that you sell, you know that ultimately all of this content is going to be aligned. "So just keeping your persona at the center of that will make it much easier to come up with content ideas.Then you need to think about format." People want faster to consume content nowadays. I would say there's a bit of science. There's a lot of art on, there's a lot of really deep, thorough understanding of your persona and that's required to make good quality. 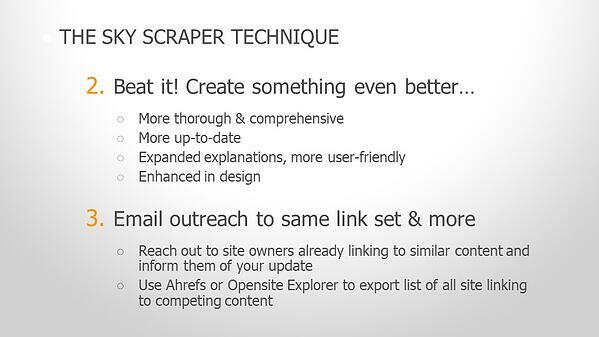 One of the things actually that we've found quite effective because people are going to talk a little bit about video later on talking about skyscraper techniques is just sometimes the sheer volume that you have to create as a marketer, the company, right? You've got a year, a content calendar to produce just one idea. I mean, look around, we were altogether in this room. We've got presentations, we've got video, we've got several different speakers. People in their own companies can put on event like this doesn't have to be a national event, doesn't have to have headline speakers. But you can run seminars, you can run workshops, you can have authority within your own industry. Come and talk at those things. You can hire a great video guy, film the thing, you can transcribe it. Karen: "How long did it take you to create that piece of content with Dan and David?" Clwyd: Well, it took me maybe thirty seconds, thirty seconds. Not bad because that was an email. I've worked with those guys as you know, in Dublin and I just begged, right? So I said, look, we've got this, this HUG coming up, I need it to stand out. I need to make a bit of a splash. I need actually the American team to stand up and wave and say, look, "hello" to London because London is a key market for HubSpot. So I wanted them to actually say hello. And they were doing some filming anyway though. They were doing training all the time, right. Karen: "It's convenient because they have a marketing team." Clwyd: That clip, all I asked them for was sixty seconds. I actually asked them for sixty seconds, hello filmed on their smartphone. So I didn't ask for production. I didn't ask for anything. Karen: "Did you give them a script?" Think about the re-purposing then that you can do with that piece of content. So for the next upcoming event, you've a brilliant piece of content and you might even be able to use that to get real buy in from those guys to come over and speak at an event. If the feedback is really good. I'm so, I think it's really just about being creative. "Thinking outside of the box." And keeping it super relevant to your audience and just bearing in mind that format is becoming increasingly important because people no longer consume content the way an awful lot of marketeers create it. But remember, you can repurpose content. You know, this might be a video, it can be transcribed, it can be turned into a blog post. It could be turned into an eBook, it could be turned into a million tweets. Yeah. Suddenly you've got probably six months content from just a half a half day session. So think about that. Think about how you can actually add valuable content for your person. So thank you for, for sure.